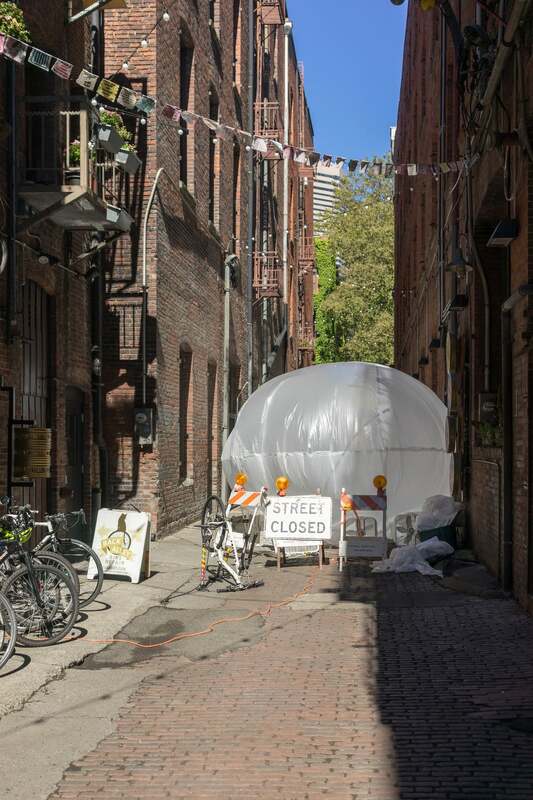 A large scale installation for the 2014 Seattle Design Festival Block Party. Made from found or reclaimed materials and inspired by the Chinese Dragon Dance, the work of Theo Jansen and the large mechanical animals of La Machine. The Creature was an inflatable pop-up space in the form of a giant monster. Filled with random objects for play, the creature created a cathedral of light in some very unexpected places.